"The largest and most powerful model locomotive ever built," proclaimed the 1931 catalog that introduced the 400E. Lionel spared no hyperbole in announcing its new steam engine: "Never before in the history of model train building has such a powerful locomotive been offered the American boy. This new 400E is the master of them all — a veritable giant of the rails. 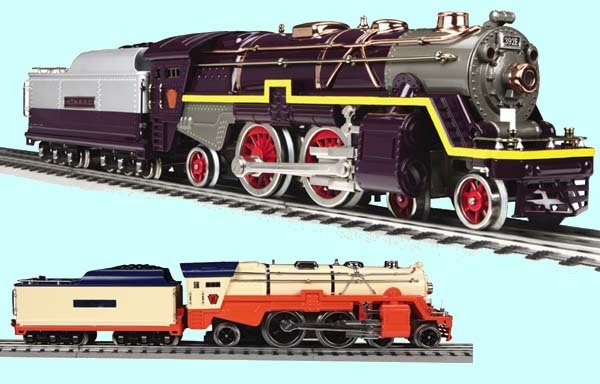 "In its creation, Lionel engineers have faithfully reproduced in steel, copper, brass and nickel, all of those fine and minute details that are found only in the largest, most modern railroad engines. Its long, low lines, its beauty of color and design and its mechanical precision opens the door for every boy to greater fun and enjoyment." Check out the latest promotional video and learn more about the 400E released by M.T.H. Electric Trains in our Lionel Corporation Tinplate category by clicking HERE. September 20, 2017 - Each week, M.T.H. releases product lists spotlighting quantities of Five Or Fewer Lionel Corporation and Tinplate Traditions items that are remaining in our onhand inventory. In many cases, these items will NOT be re-run in the future and these lists could be your last chance for ordering them before they're GONE FOR GOOD. Don't miss out on these items! Click on the product line links below and then any item number in the corresponding list to purchase that item from the M.T.H. Online Store or order directly from your local M.T.H. Authorized Retailer. Order Now For Pickup At York! September 20, 2017 - A limited run, soft cover printing of Barry Broskowitz's DCS O Gauge Companion will be offered for sale at the TCA York Meet in York, Pennsylvania on September 19 - 21, 2017. The book will be for sale in the M.T.H. Booth in the Orange Hall for $29.95 on a pre-order basis only. Orders for the book are due no later than October 4, 2017 so that the printer can guarantee delivery of the books at the York Meet. These books must be picked up at the show and will not be shipped to customers ordering them. 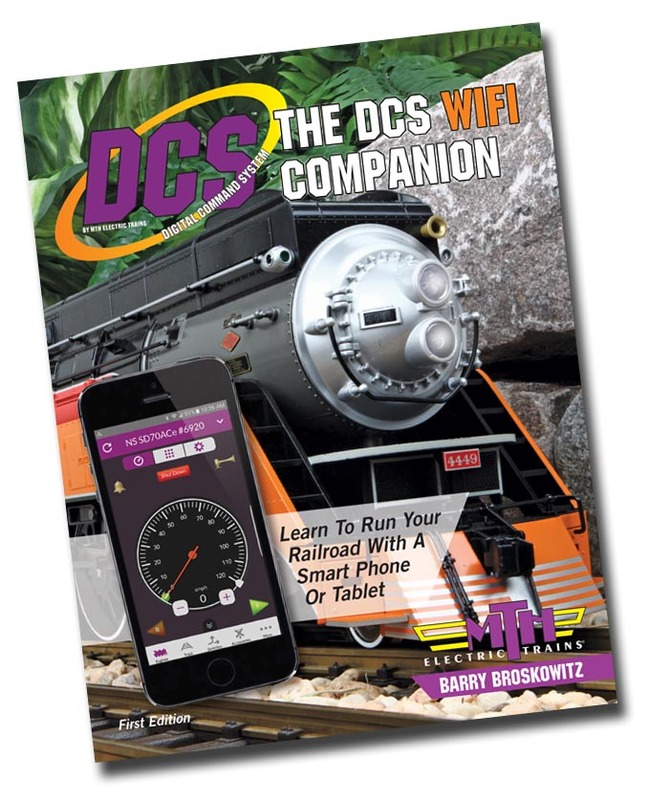 Orders for the printed version of the DCS WiFi Companion can be placed by contacting M.T.H. Electric Trains at 410-381-2580 and connecting to the Sales Department. This new, nearly 200-page, four-color guide discusses, in detail, how to implement complete WiFi control of DCS on new and existing layouts. It contains 83 pictures and illustrations that educate the reader on the basic and advanced features and functions of DCS from the point of view of the Premium version of the DCS App. The book includes: capabilities and use of the Premium version of the DCS App; implementation of DCS WiFi on new or existing layouts via standalone or home network access; setup, installation, operation, and software updating of the Wireless Interface Unit (WIU); and much more. Reviewed by Jim Barrett in OGR's January 2010 issue, Barry's first book, The DCS Companion, was hailed as an "indispensable tool" that "should be in the hands of every command control operator". M.T.H. expects that the new book will carry on the same tradition of allowing DCS operators to optimize the capabilities of DCS and maximize their enjoyment, now using WiFi through the Premium version of the DCS Application. The entire OGR review can be found by clicking HERE. This new book is both a DCS tutorial for those adding DCS for the first time to a new or existing layout, as well as a valuable reference for the experienced DCS operator. The uncomplicated language used in the book allows anyone to easily understand and operate the DCS Digital Command System using the Premium version of the DCS App, regardless of their experience level. Even the most expert DCS operators will find useful information regarding MTH's Premium version of the DCS App and WIU Wifi Interface Unit throughout this new book. Since each section of the book inherently builds on the previous section, the reader has the choice of starting from the beginning and reading through the entire book, or jumping to a particular section of interest. September 20, 2017 - M.T.H. Electric Trains has produced an exclusive, very limited production of an uncataloged Std. Gauge 392E steam locomotive in two paint schemes available for immediate delivery for MTHRRC members only at a super price of $779.95 each! The limited production run 392E - just 50 have been built - comes in MTHRRC livery for both the Lionel Corporation Tinplate and Tinplate Traditions memberships. As with all tinplate steam locomotives, both versions come outfitted with operating smoke, LED lighting and the incredible sounds and performance of Proto-Sound 3.0. 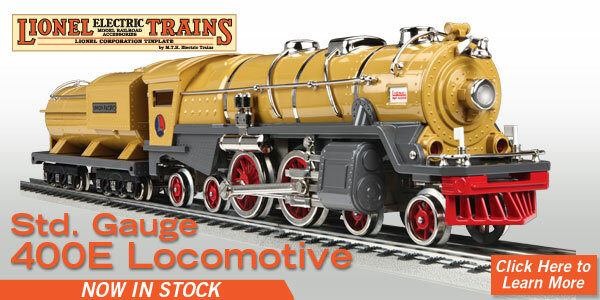 Don't miss this opportunity to obtain one of these exciting locomotives. To reserve your copy today, call the M.T.H. MTHRRC Department at 410-381-2580 (option 4). Learn more about the app by clicking HERE. September 20, 2017 - M.T.H. Electric Trains will be incorporating ALL-NEW seminars covering the DCS Digital Command System for WiFi control as part of our exhibit at the Fall York TCA Meet in York, Pennsylvania during this October's event. The seminars will be held in the conference room of the Orange Hall (located down the right hallway when entering from the lobby doors). There will be seating for approximately 30 people for each seminar. Each session will last approximately one hour including a Q and A session with the seminar presenter. If you are interested in attending any of these FREE sessions, you must sign up for them by clicking on the links below. Thursday, October 19, 2017 - 3:15PM REGISTER NOW! Thursday, October 19, 2017 - 4:30PM REGISTER NOW!